2 years back when I started blogging I was clueless. I was just writing random thoughts . Had a why.But was not clear? 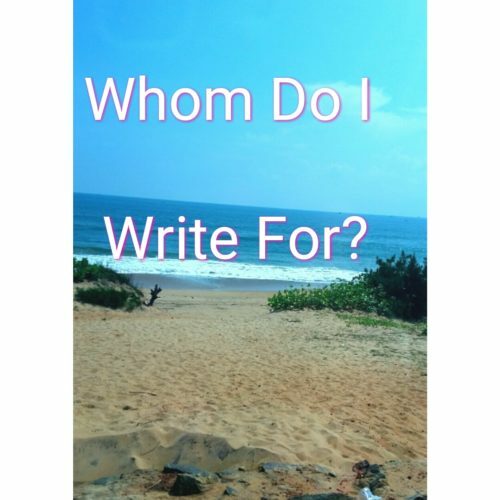 I asked myself whom I really wanted to write for. All the probloggers will tell you 2 different answers depending on whom you ask. 2.If you want people to read your blog ,find your audience your tribe. That’s confusing! Till you understand the answer is complete, by combining these two . Ultimately writing is very personal. It’s a dialogue in your brain.Where you ask questions and you yourself answer ! .So how do people attract their “tribe: ,their readers. Women understand women.I write as a women ,as a mom. So it’s no surprise that my blog is visited mostly by women. So don’t stop writing for yourself. Somewhere there is someone ,just like you who will find her way ,reading your “how”. Write for yourself and your “avatar” and you will find your readers . I so agree, the answer is only when you combine the two. It is only when you add value, will you find your readers. And you can only add value when your write from your perspective. Absolutely bang on.Finding your voice is actually a journey of self discovery. That is so true — the idea that people will say write for yourself and write for others. Unless you, of course, see yourself as part of that collective audience. YEs Mel you are right. That’s the word “part of collective audience “.Described it perfectly.